According to new study findings, women who are overweight in the middle section are at increased risk of developing asthma. Public health researcher Julie Von Behren, of Northern California Cancer Center in Berkeley, and colleagues found in the study that women who are obese or overweight were much more at risk to have asthma than women who have healthy weight. 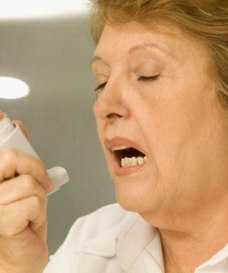 Irrespective of woman’s weight, a large waist size of more than 88 centimeters or 34 inches, increases the risk of asthma. Von Behren said that among 88,304 women in the study, those who were overweight are more likely to report urgent medical visits and hospital admission due to asthma.